Some we bred, some we didn't, some still live here, some don't, but they are all nice examples of the breed! Whether they have earned their AKC Championship or are Therapy Dog certified or have a Performance Title, they are all CHAMPIONS to us!! Owned by: Benny is now owned by Norma and Burke and loving life! Poker finished his championship with a bang! He took WD/BOW/BOB/GROUP 4 at 9 months of age. 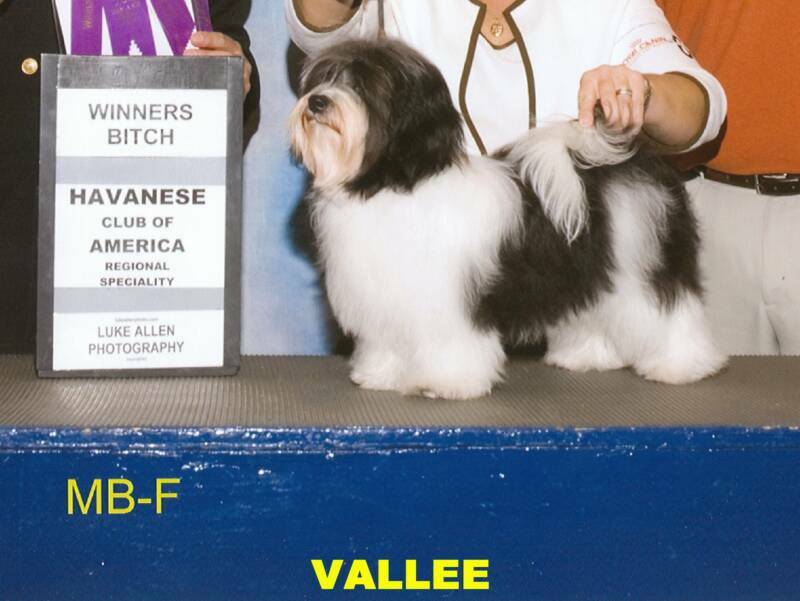 Vallee finished her championship one day after Poker, her litter brother, by winning WB/BOS at 9 months of age. 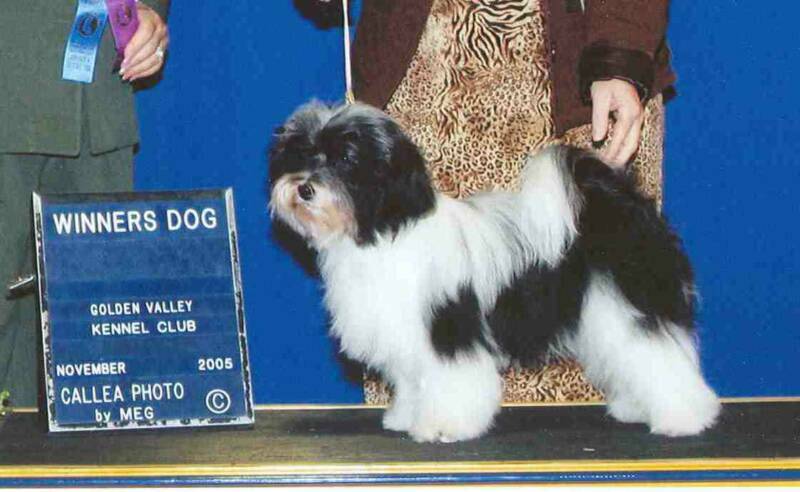 finished 11/2006 - She then came out as a "special" June 22, 2007 and became the #2 All Breed in only 4 months out! 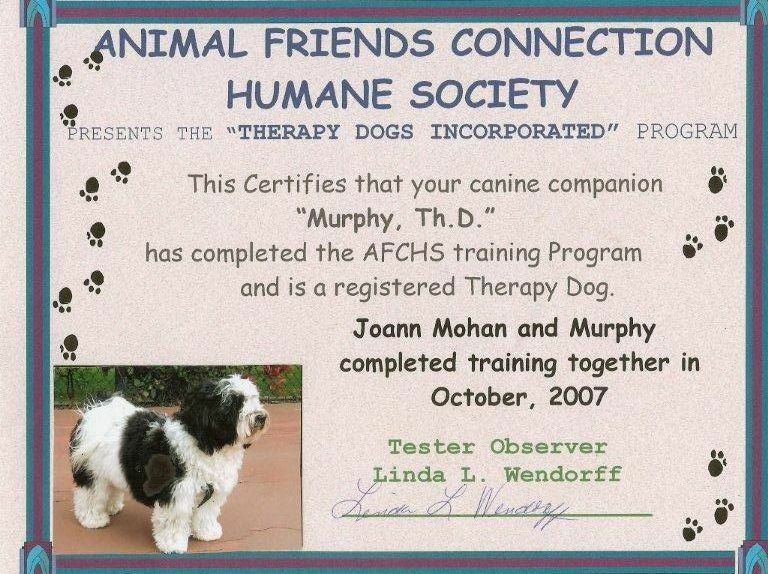 Became a certified Therapy Dog in December 2007. 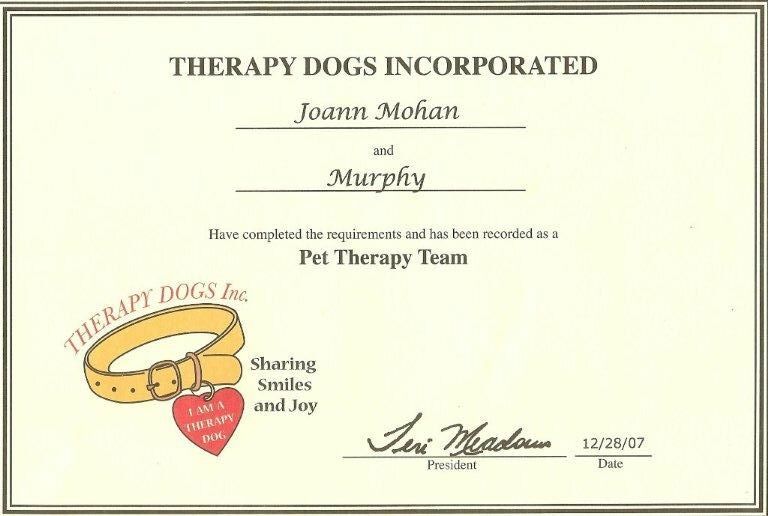 We are very proud of Murphy and his human mommy, Joann. 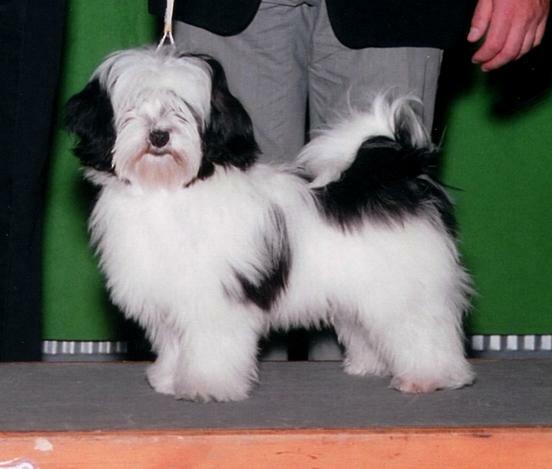 AKC CH Bellatak Sopranos Havdiss R.N. 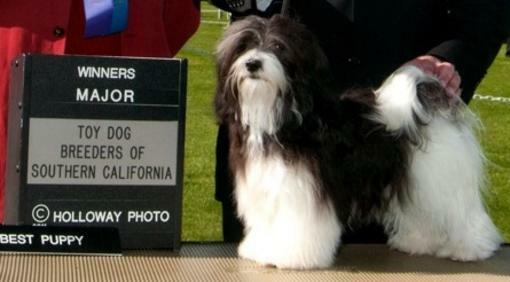 Dreamer became an AKC Champion on March 2, 2009 with all majors in just 2 weekends of showing!! We are so proud of Amanda and Dasher and their many accomplishments. We know more will come! And boy have more come and will continue to come!!! We are so proud of Holly and her hu-parents Jean and Larry. They hadn't planned on trying to earn Holly's CGC on this particular day, but I talked them into it as I knew Holly and her Larry were ready and they DID IT! 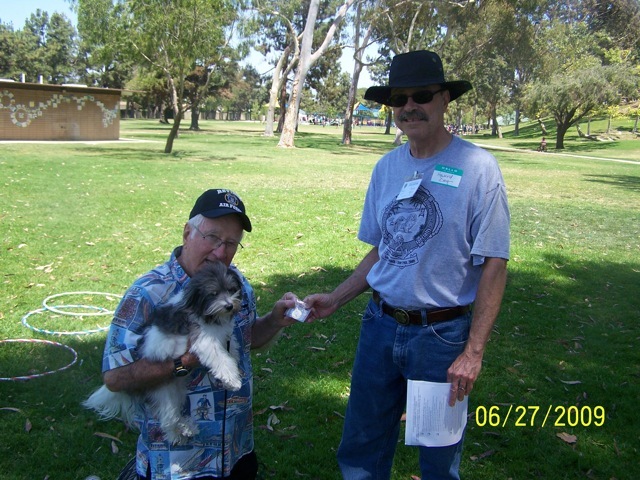 Now Holly and her Dad have earned her Therapy Dog title!! We are so proud of them! 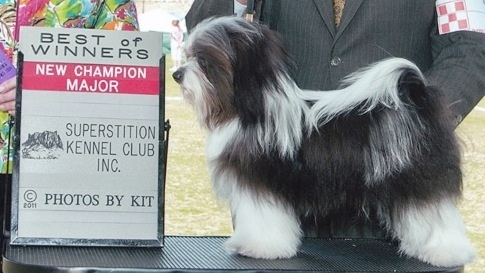 BJ finished his AKC championship on January 8, 2010. BJ is a son of Queenie and Bugsy. 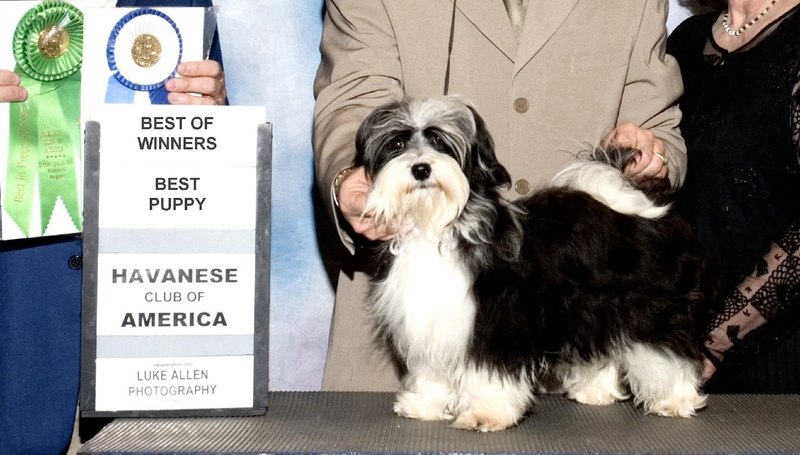 Mickey finished his AKC Championship on November 13, 2010. 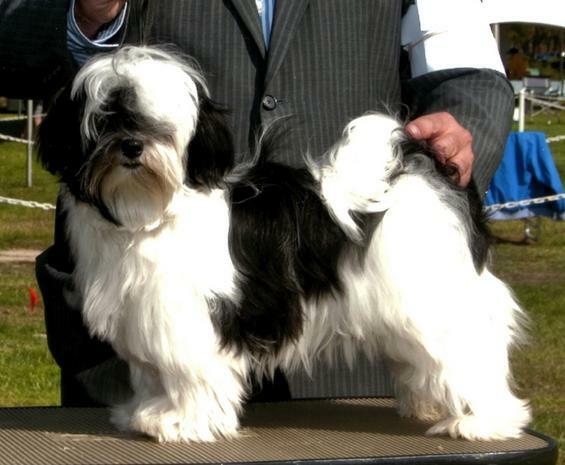 Mickey is a nice example of the breed. He is a son of Queenie and Rolo. 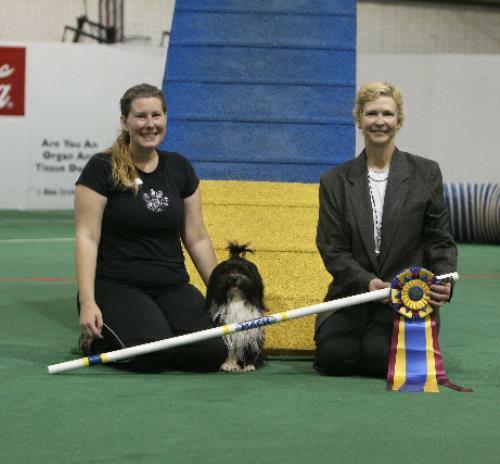 Mandy finished her AKC Championship on November 28, 2010. Mandy is a nice example of the breed. She is a daughter of Queenie and Rolo. 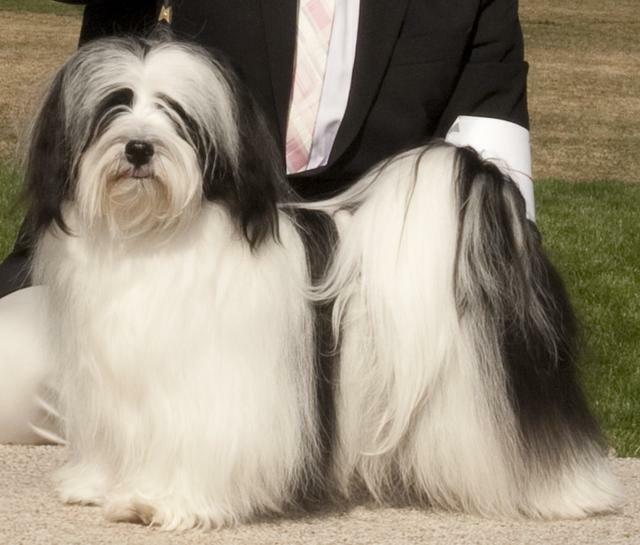 Keely finished her AKC Championship on January 30, 2011. Keely is a nice example of the breed. She is a daughter of Vallee and Charlie. 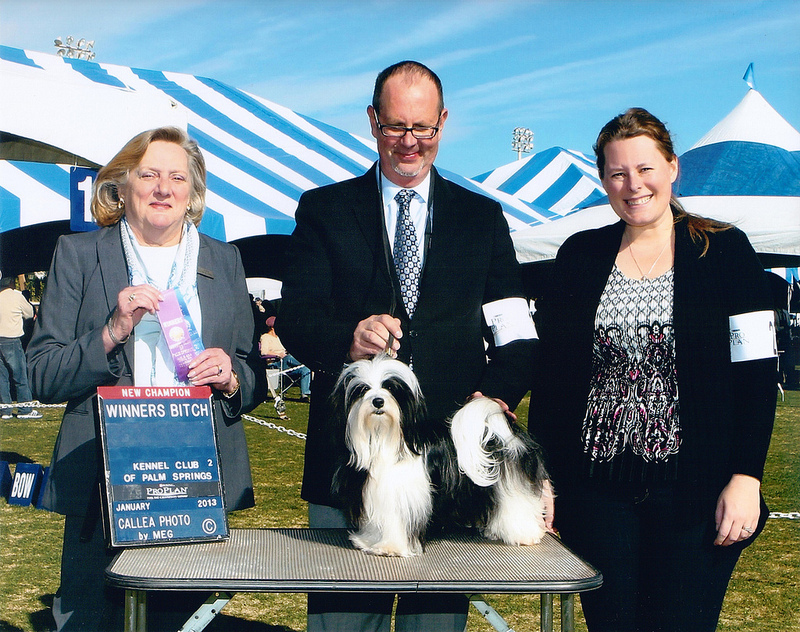 Robbie finished his AKC Championship on March 5, 2011 with all majors in only three weekends of showing! He is a loving and opinionated little guy who made his mother Vallee and father Charlie proud. 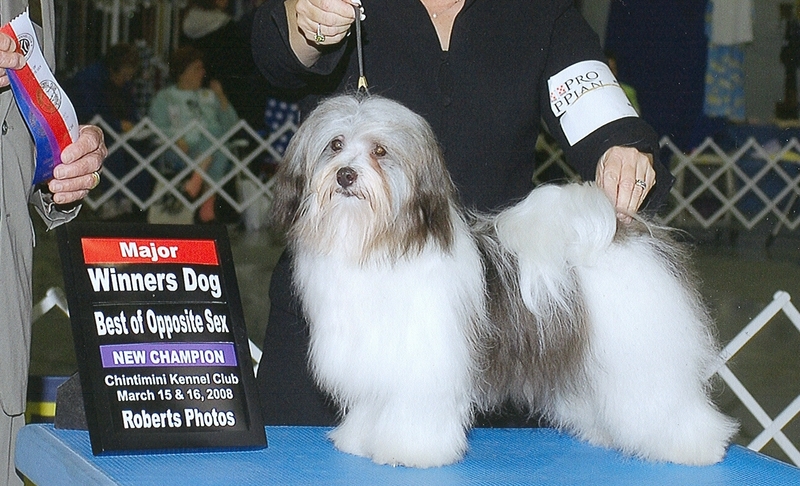 Dolly finished her championship on September 22, 2011. Becky showed her most of the time and enjoyed being in the ring with Dolly. Becky was thrilled that she was ringside the day Dolly finished!! 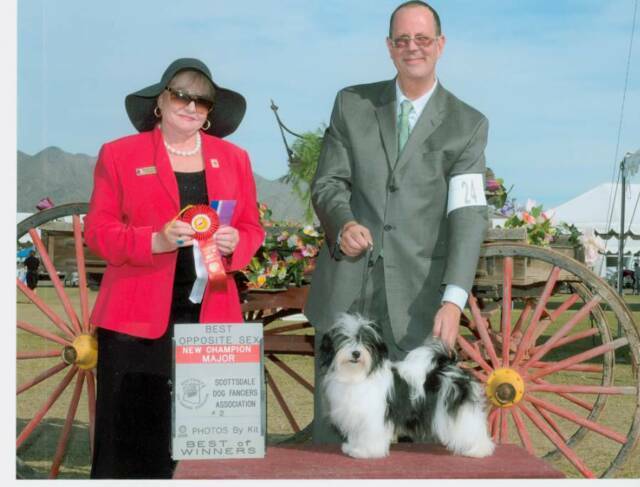 Maggie finished her AKC Championship on January 7, 2012 in Palm Springs, CA. It was a nice win as it was a 5 point major, which in CA is not easy to have anymore! All of her breeders were present at the show watching her achieve her championship, which made it even nicer! 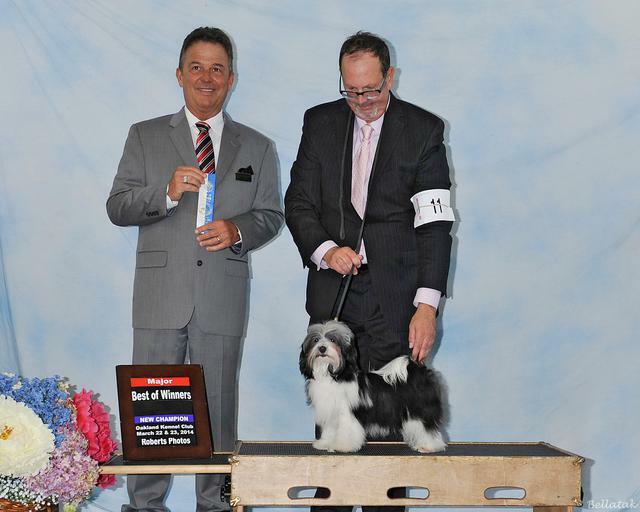 Maggie finishing her championship also means her dam, CH Bellatak My Funny Valentine, (Vallee) earned her ROM. Angel finished her championship on September 9, 2011 in Colorado. Sherry and Hal were there to watch her acheive her championship. Sherry has begun training Angel in Agility. Maybe one day she will have titles at the end of name too. 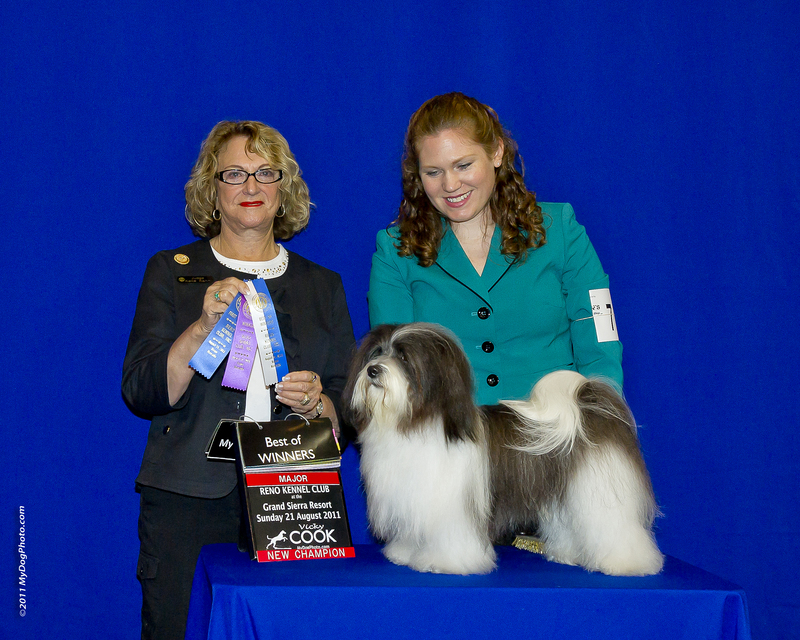 Maverick finished his AKC Championship on August 21, 2011. 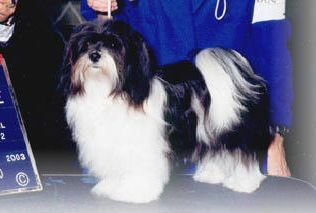 Maverick finished his championship being shown exclusively by the Smart's daughter, Shannon who owns and shows her Bearded Collies. Maverick loves being in the ring. The Smart's plan on showing him as special in the future. 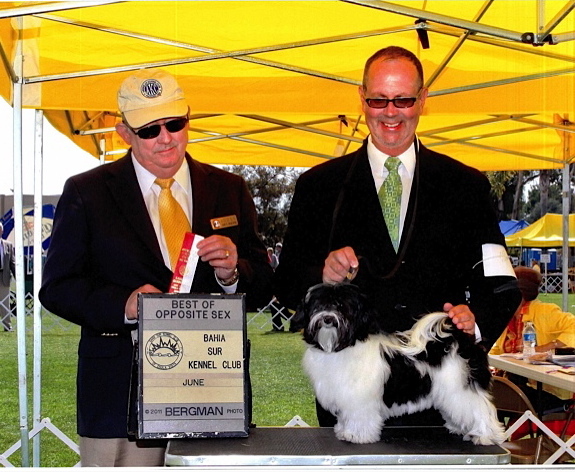 Bogie finished his AKC Championship on January 3, 2013 in Palm Springs, CA. It was a nice win as it was a 5 point major, which in CA is not easy to have anymore! Tom and I were there to watch him finish. Bogie will continue being shown as a Special. His sire is our Dreamer so he has big shoes to fill! 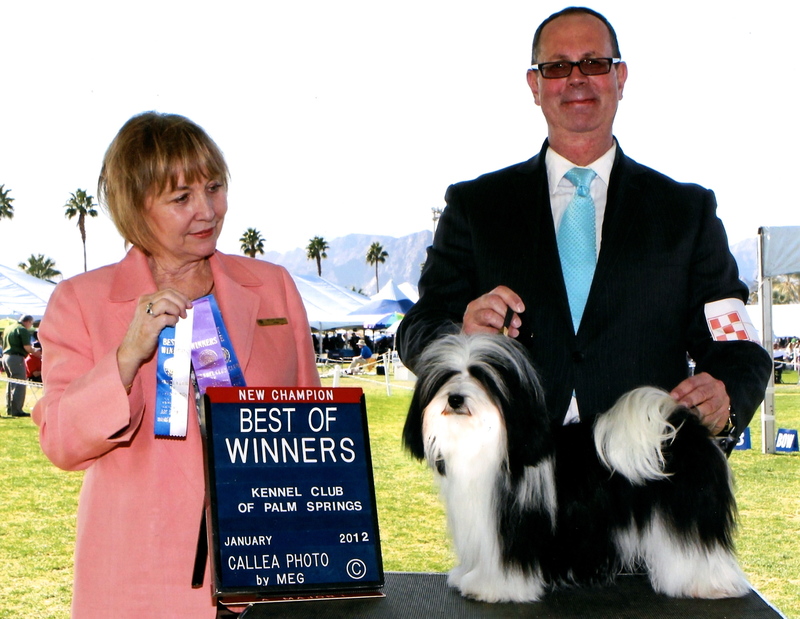 Brisa finished her AKC Championship on January 6, 2013 in Palm Springs, CA. We were all there to cheer her on and she showed beautifully! Tom and I decided to stay and watch her in the ring before we left that day, and I am thankful we did! Brisa and Bogie are littermates and how special it was for both to finish on the same weekend!! 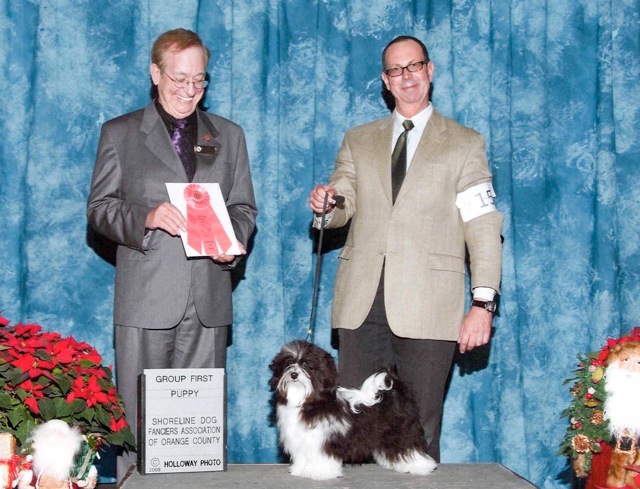 Max is out of CH Bellatak My Funny Valentine and sired by GCH Bellatak McDreamy. He finished his AKC Championship in 2 1/2 weekends and then went on to get his Grand-Championship in less then a month with limited showing! Max makes his mom and dad proud! Gracee is out CH Bellatak Bellatak My Kind Of Girl (Maggie) and sired by CH Bellatak Cupids Arrow (Poker). 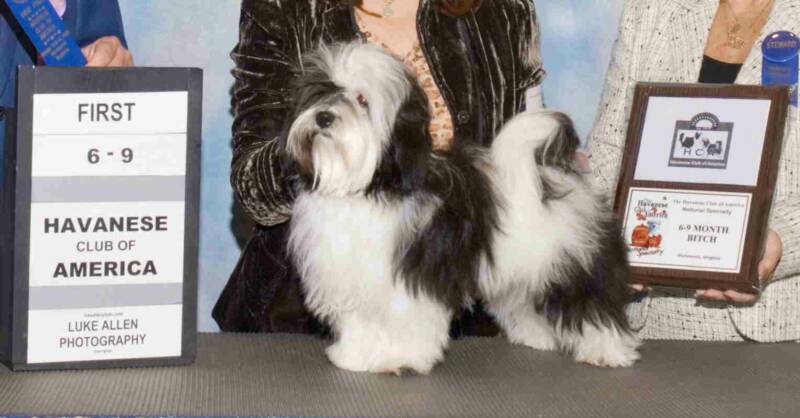 Gracee finished her Championship very quickly only after 4 weekends in the ring at the age of 8 months old. Thank you Judge George Milutinovich for awarding our girl this nice major. 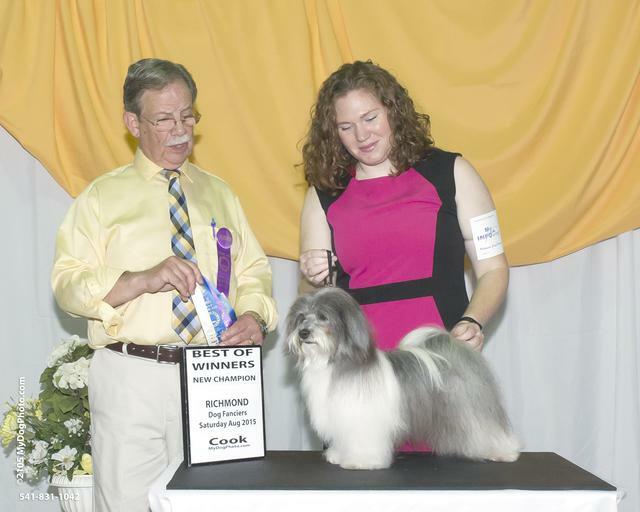 Rowdy finished his AKC Championship Owner Handled! Rowdy is out of CH Bellatak Stealing Kisses of DJ and sired by CH Bellatak Rudolph Valentino. While this was not a breeding I chose to do, (Queenie and Rudy had their own "plan"), they produced beautiful pups together, Rowdy being an example. Rowdy's Championship qualifies Queenie for her ROM! 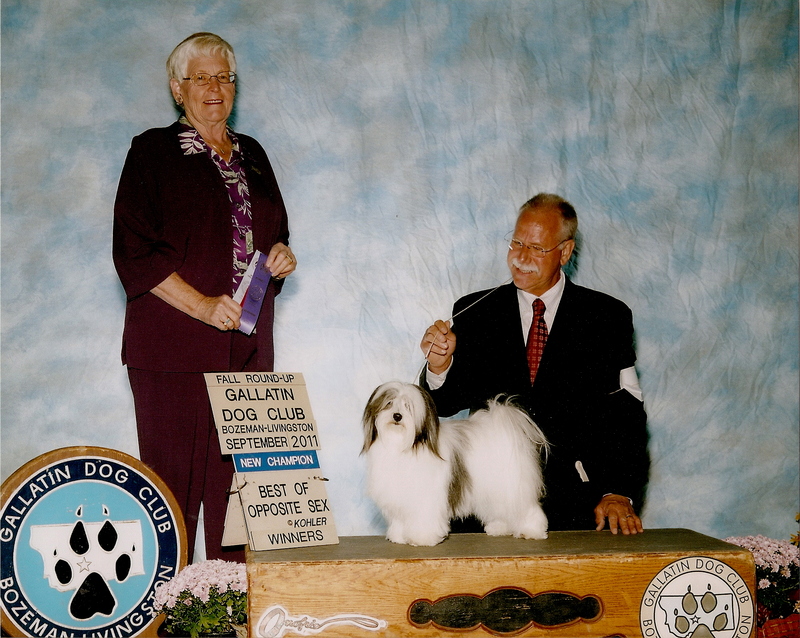 Ginger finished her AKC Championship on 02/21/2016 after only being shown a very short time. I call her my deceased mother's puppy as it was my mother that named the litter and encouraged me to have this litter just prior to her death! Ginger is an awesome example of the breed just like her father (GCH Bellatak McDreamy) and her grandmother (CH Bellatak My Funny Valentine). Ginger actually reminds me a LOT of her grandmother Vallee!